Too often, the heroes in denim aren’t the ones on the front lines getting all the face time. Sometimes, it’s those working on the ground that are truly doing denim’s duty and fueling the process that creates the fabric we all know and love. 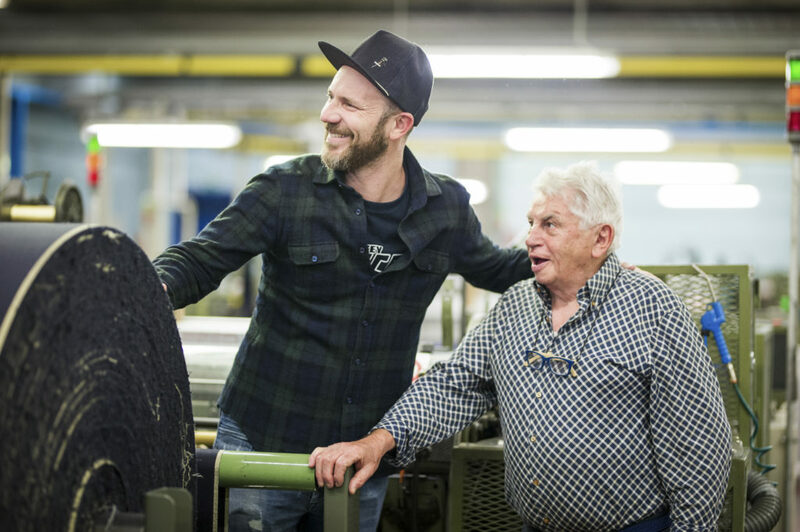 In this case, our unsung hero is Roberto Grimi, selvedge specialist and former head of weaving department at Candiani Denim, where he’s been working for the last 60 years. Carved in Blue caught up with Roberto to learn more about not only the legacy he has built—and that he plans to leave behind—but about how a life of indigo has shaped both him and the business he works for. Read more at Sourcing Journal.